Leaks NG, founded in 2018, is Nigeria’s collaborative investigative initiative of eight leading newsrooms in the country. The documents also revealed that Amobi, who was appointed the substantive head of NBET in July 2016, was also involved in a series of corrupt acts such as subversion of board approvals and infraction of procurement laws. NBET manages the electricity pool in the country’s electricity supply industry. A few weeks after she was confirmed as the managing director, Amobi started overpaying two power generating companies – Omotosho Electric Genco and Olorunsogo Electric Company. This was a flagrant violation of the details of a Power Purchase Agreement (PPA) which the companies signed with the government in February and August 2016, respectively. Leaks NG could not lay hold on all invoices issued by the companies. The two we obtained showed that NBET made partial payments to the companies. In one of the invoices, Amobi paid Omotosho N339, 813, 418 in October 2016. The fund is part payment for July 2016 energy and capacity. These illegal payments would not have been possible without Amobi’s insistence. While the Internal Audit of NBET refused to process the payment, Amobi signed the July payment on October 13, 2017 assuming the role of internal audit in violation of financial regulation. Sometime in 2014, NBET wrote the Bureau of Public Procurement (BPP) to request the agency sign off on power procurement and retroactive no objection in procurement. According to a report by NBET’s evaluation committee, three firms: Azinge and Azinge, Chukwuka Ugwu and Associate and John Erameh submitted bids. Surprisingly, in April 2017, two years after, the Internal Audit received a request from Amobi for payment of N30 million to two firms. Amobi wanted Azinge and Azinge to be paid a contract sum of N14 million and Aelex N16 million respectively. According to the arrangement, Achinaya would work for NBET for a period, present a report to NEXANT and claim his payment from NEXANT. This indeed happened. But instead of NEXANT paying the consultant, NBET’s leadership decided to pay him despite not being party to the engagement agreement. On January 23 2017, Achinaya wrote Mrs Amobi requesting NBET to pay him N7 million advance payment for the work he had done so far. The audit department argued that it declined the payment because Mrs Amobi’s N7.5 million request was above her N2.5million approval limit and that the process of contracting was not subjected to any procurement process. To bypass the procurement part, Amobi allegedly directed the Parastatal Tenders Board of NBET to seek consideration and approval for the requested fund. The contract was later awarded to Achinaya at the sum of N25, 850, 000. In 2017, Amobi made a request to the Accountant-General for officials from his office to be transferred to NBET to head the Internal Audit and Finance departments. Inside sources alleged that she made this request because she felt the officials who headed the department at NBET was standing in her way. Waziri Bintube of the Finance Department was reposted to Risk and Guarantee, another department created by Amobi allegedly to victimise the two top officials. 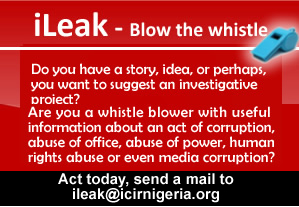 When contacted to respond to the series of allegations against her, Amobi rained abuses on Leaks NG reporter. Without first listening to the reporter’s questions, in a statement, replete with swear words, she said she would not comment on any of the allegations because the issues are in court.